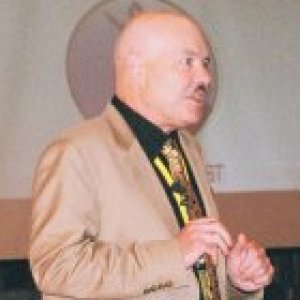 Donald J. Ford, Ph.D. is a training and performance improvement consultant specializing in instructional design, human resources and quality improvement. 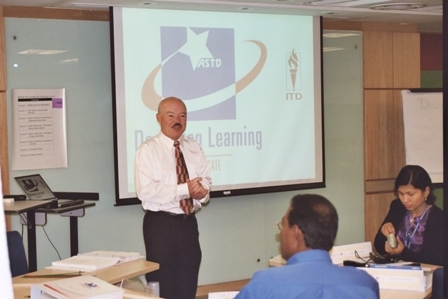 As President of Training Education Management LLC since 1997, he has consulted with clients like: ASTD, Toyota, Nissan, Rockwell International, Samsung Electronics, Orange County Transportation Authority, Glendale Memorial Hospital, Employers Group, Southern California Presbyterian Homes, CompuCom, Central Bank of Egypt and Malaysian Institute of Training and Development. For these and other clients, he has developed custom classroom, self-study and web-based training on a wide variety of topics, conducted performance and needs analyses, facilitated groups, managed quality improvement projects, taught train the trainer and leadership courses and evaluated results. Prior to 1997, he held training management positions at Southern California Gas Company, Magnavox, Allied-Signal and Texas Instruments. Dr. Ford holds a B.A. and M.A. in history and a Ph.D. in education, all from UCLA. 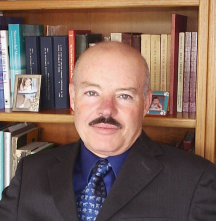 He also teaches graduate courses in Human Resource Development for Antioch University, Los Angeles. He has published 35 articles and four books on topics in training, education and management, including: Bottom-Line Training: Performance-based Results (2005), Bottom-Line Training: How to Design Programs that Boost Profits (1999) In Action: Designing Training Programs (Editor, ASTD, 1996), and The Twain Shall Meet: The Current Study of English in China (McFarland, 1988). Dr. Ford has presented at the ASTD International Convention, ASTD Quality Symposia, ASTD L.A. Train the Trainer and Annual Conference, Academy of Management, International Society for Performance Improvement International Conference, International Quality and Productivity Conference, American Educational Research Association and UCLA Industrial Relations Conference. He has worked extensively overseas in Asia, Middle East and Latin America. Specialization in curriculum and instructional design. Find out what it takes to lead organizations to higher levels of performance. Learn about world-class leaders who have already transformed their organizations into finely-tuned high performance machines. Explore the characteristics of high performing leaders and learn their strategies for success.